Yale Locks & Hardware says that integrators can preorder its new Nest x Yale key-free touchscreen deadbolt and February, and the lock will begin shipping in March. 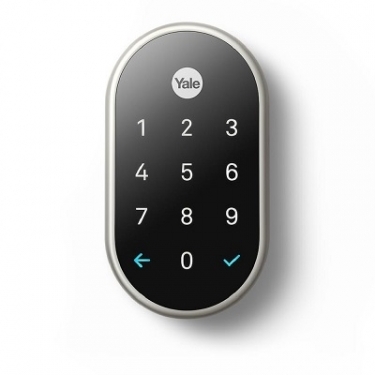 Partnering with the popular smart home company Nest, Yale Locks & Hardware has collaborated with the famous smart thermostat manufacturer to announce its new Nest x Yale key-free touchscreen deadbolt lock. According to Yale Locks & Hardware, the new key-free touchscreen deadbolt smart door lock is the "first Works with Nest product that is controlled using the Nest app." 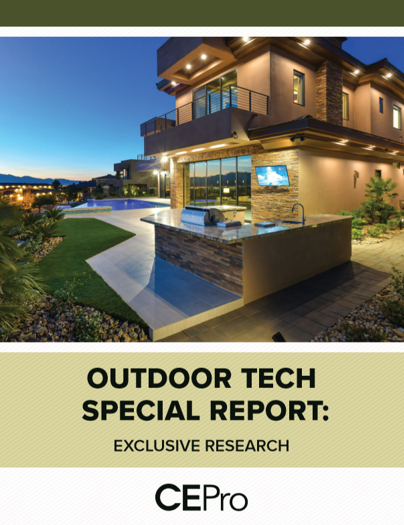 "Yale and Nest collaborated closely to develop a lock that brings a new level of security, convenience, and insight to the front door," says Jason Williams, president, Assa Abloy U.S. residential group. "With this product we are bringing to market a smart door lock that takes full advantage of Nest's leading ecosystem and extends its capabilities with useful product integrations." Yale explains that its newest smart lock unlocks and locks doors from anywhere, and it enables homeowners to create passcodes to manage access for family members and guests from the convenience of the Nest app. Yale says that users can set schedules for family members and guests, as well as automatically lock the door when they aren't home, and they can view a history of who's entered the door and the time they entered their homes. One of the major benefits of the new Nest x Yale key-free touchscreen deadbolt lock is that homeowners no longer need to worry about losing their keys or the security issues of having their keys stolen. Homeowners also don't have to fumble for their keys during dark and cold evenings looking to find the correct key to unlock their homes because the lock holds as many as 250 codes that can be used and edited at any time. When integrated with Nest Secure security system, the Nest x Yale smart door lock can disarm the alarm system, and homeowners with a Nest Hello Video Doorbell and Nest x Yale lock can see who's at the door and remotely unlock the door to let guests into their homes. If power and Wi-Fi go down, or the phones become unavailable or dead, the Nest x Yale lock can be opened by using the touchscreen. Nest's Weave technology also allows the lock to communicate with other Nest products without an Internet connection. Lock owners will also be notified as the battery life of the lock decreases. Yale adds if the batteries were to go completely dead, the deadbolt can be powered by touching a nine-volt battery to the terminals at the bottom of the lock. Aesthetically, the Nest x Yale smart door lock replaces standard deadbolt locks, and it employs a contemporary, low-profile design to complement a variety of home designs. Yale Locks & Hardware says it will begin taking preorders for the the Nest x Yale smart door lock this February for delivery in March.